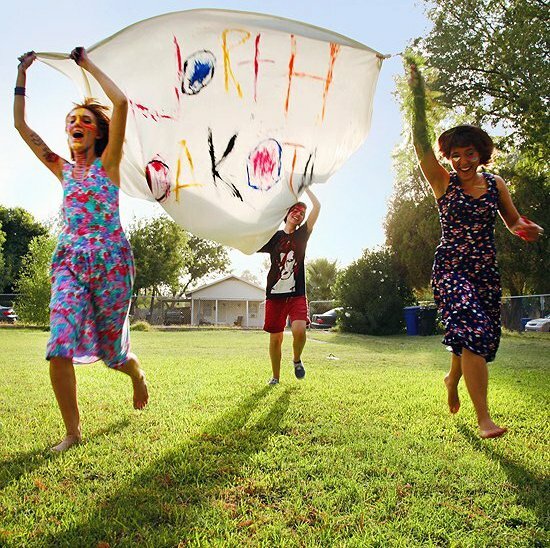 North Dakota is nothing like you've heard before. North Dakota looks like they can have a lot of fun. In this case, I'm not talking about the state, which I literally know nothing about (except what I saw in Fargo, sorry to our North Dakota readers). I'm referencing the Arizona-based band which is composed of Emily Hobeheidar, Morgan Neuharth, and Michelle Blades. The trio not only creates some incredibly strange experimental punk, they also seem like a really great little group of artists. Michelle, Emily, and Morgan made North Dakota underwear (for girls and dudes), strived to get 666 likes on Facebook, and created a logo that had their band name screen printed over a young Dakota Fanning's face. Not to mention that photos and videos of their live shows look like the best time (too bad Arizona is very far from us). The band had only released a very promising EP in the beginning of 2012 before Michelle Blades departed to live in Paris. But after a trip back to the Southwest and a quickly-funded Kickstarter, the trio was able to come out with their first full-length album, Pat Waggy. When I first listened to Pat Waggy (by way of friend/Infinity Crush member Dan), I wasn't sure if it would be easy listening due to the generally heavy, fast-paced, and erratic nature of the songs. But all of these qualities have only made this album even more appealing to me since I first heard it a few days ago. The first track "Hans", sets an apocalyptic feel for the album with a slow guitar progression before breaking into the band yelping and shredding their way through the song. The rest of the album follows in a similar suit – quickly alternating between slow and fast with the trio manipulating their voices from singing to shouting in a way that will grab hold of you from the beginning of the album and won't let you go until the short album is finished. Songs like "Don't Touch Me" and "Angry Boy" are wild odes to classic punk that both clock in at under a minute and fifty seconds long. But songs like "Galapaghost" go a little deeper, with the music growing both more tense and melodic as they scream, "There is a ghost inside my house" until you almost start to believe it. North Dakota, and especially Pat Waggy, is so striking because the trio manages to walk a line between unabashed fun and complex darkness. What's most intriguing about this collection of songs is that at the end of the album, North Dakota finishes off with a song that deviates from anything else you heard before this. "Waiting in White" is rooted in deep synths and a pounding drum beat that kind of terrified me but also completely won me over. I said it earlier and I'll say it again – Pat Waggy is nothing like you've heard before. Here's to hoping that Michelle comes back to America soon and North Dakota makes its way to the East Coast. 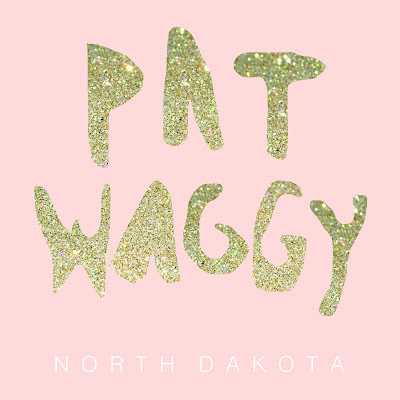 Listen to Pat Waggy on bandcamp.